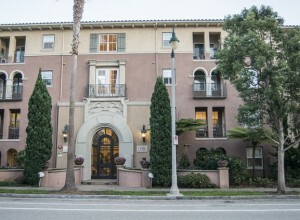 Esplanade gathers a combination of town homes and single-level condominiums around romantic courtyards. A carriage-entry court and a central lobby serve as portals to a series of courtyards and walkways with Italianate detailing reminiscent of seaside Mediterranean villas. Esplanade also has the lowest HOA dues in all of Playa Vista.